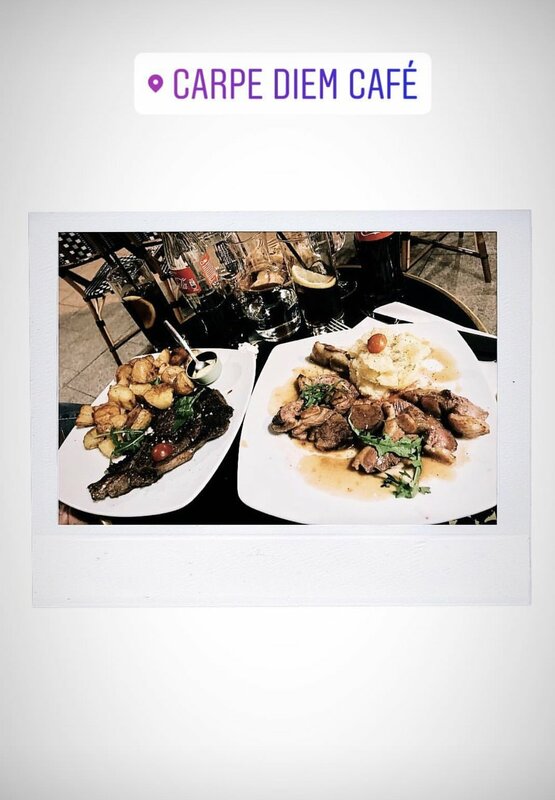 Sharing my first trip to Paris, but trust me it wont be my last. I absolutely fell in love with Paris and I am already planning a trip back! Language: french is the common language of France but english is spoken in most high traffic tourist areas. when entering most stores sales associates will greet you in french but when they see your bewildered face they usually start speaking english or find someone who can help you,lol. climate: Paris has all four seasons, summer days can get really warm but there will still be a chill in the air at night. most nights i wore long sleeves or a jacket. 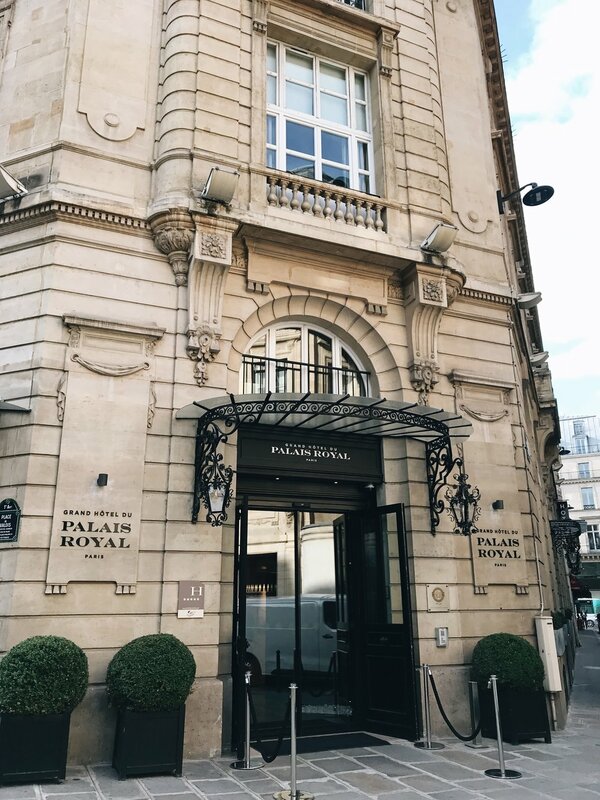 i spent four days and 3 nights at the grand hotel du palais royal and it was the perfect location. 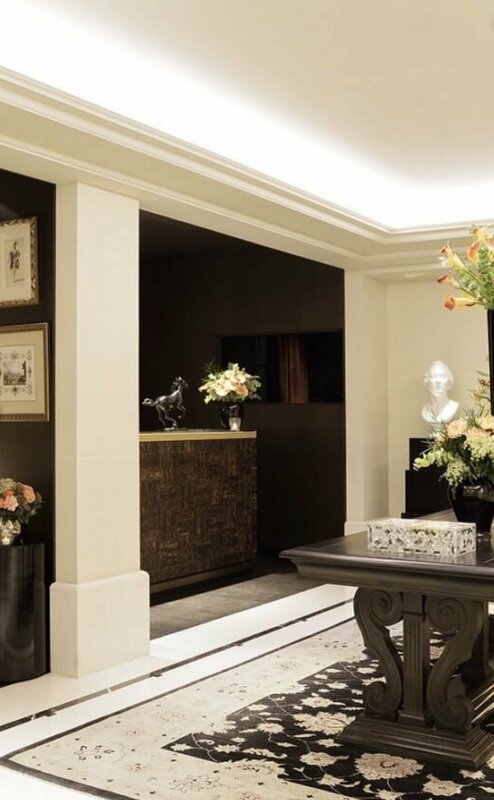 this is a luxury boutique hotel so its small enough to be in the center of everything. we were able to walk most places, the louvre and the jardin du palais-royal were less than a two minute walk. the eiffel tower and arc de triomphe was a 10 minute uber ride away, and most of the shopping we did was walking distance. during my stay i stopped by the clarita spa inside the hotel for a couples massage and it was amazing, the staff were very attentive and thorough. 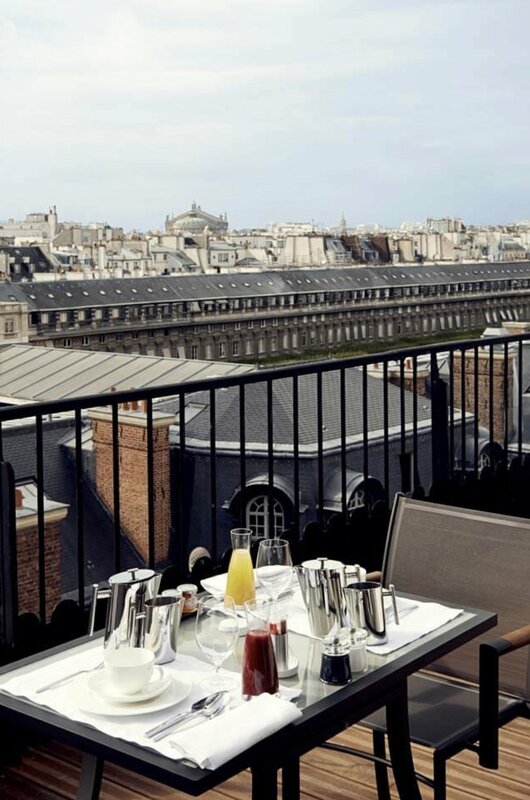 when i’m back in Paris i plan on staying in this hotel again but i will definitely upgrade my room since like most big cities the rooms are incredibly small,i booked this trip one month out so the options were slim at the time. depending on your hotel most places are walk-able in paris, if not they have uber and most places aren’t more than a 15 minute ride. i would suggest keeping a few euros on you just in case your somewhere and there is a taxi available but our need for euros were few and far in between. last but not least lets talk about the reason i went to paris, shopping!! it has always been a dream of mine to go to paris see the eiffel tower and shop til i drop, lol. i didn’t do much sightseeing since it was peak season and i didn’t want to spend my time waiting in line. i focused on enjoying the scenery and experiencing the culture. below i am sharing a few of the shopping destinations i found. galeries lafayette: this is where i did the bulk of my luxury shopping, most designer stores had a boutique and counter inside this department store. champs elysees; huge tourist attraction, so be prepared to stand in line to get into luxury stores here. due to traffic and tourist i didn’t do much shopping here, also keep an eye out for pick pocketers there is a lot of congestion here so its a prime location. well that’s my recap of paris, i hope this was helpful! leave me a comment below if there was anything i didn’t answer or you just want more details. Thanks for stopping by, see ya!